Most survival priority lists place “treat injuries” at the top. That’s because some injuries are critical and can be life threatening. I recently attended a First Aid / CPR class that was certified by the American Safety & Health Institute (ASHI). There are other organizations such as Red Cross that offer courses as well. The group of courses that I attended included Emergency Oxygen Administration, First Aid, Cardio/Pulmonary Resuscitation (CPR) and Automated External Defibrillator. I learned the “emergency action plan” for approaching an incident as well as the “ABCs” (Airway, Breathing, Circulation) of CPR. 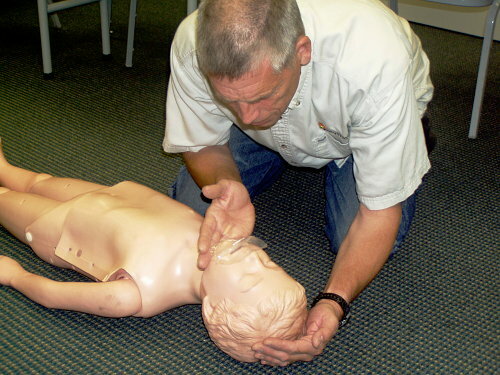 A new category of “D” or Defibrillation has be added when properly trained. Being able to help others, or even yourself, can save life and limb. Knowledge, enables you to properly approach an emergency situation, and when combined with practice, can give you confidence which contributes to clearer thinking and a calming effect in a time of panic or stress. I would encourage you to attend these classes if you have not done so already. In many cases this will be offered through your employer, especially if you volunteer to be an emergency responder in their safety program at work. 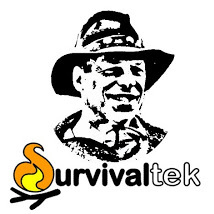 These skills will enable you to be better prepared in the case of natural disaster or other injury related situations. This is most certainly another tool that should be added to your survival skills. This entry was tagged Class, CPR, First Aid, Injury, Safety. Bookmark the permalink.